Choose your favorite hero and lead your tribe towards a bright new future in the lands of Kalevala. Exciting Match 3 gameplay, powerful hero powerups, and an extensive village building game provide hours of exciting new entertainment. 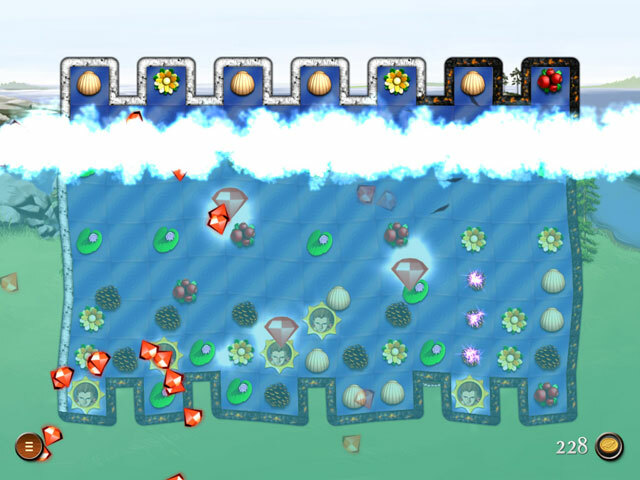 Experience hand-made levels featuring unique gameplay, like lock bomb combos and tar fights. 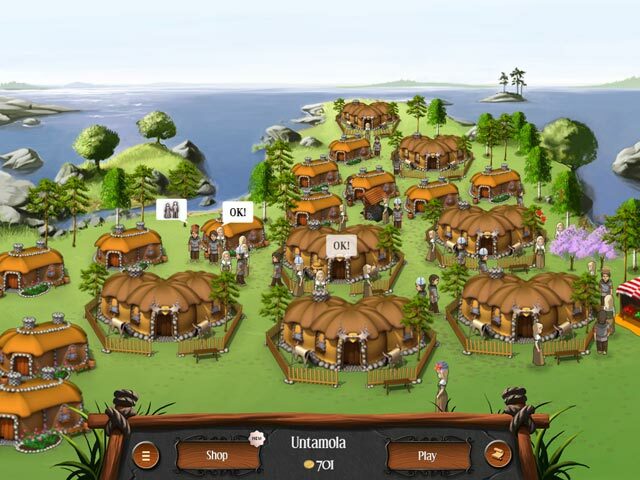 Build your own village from scratch and see how it starts to thrive and produce wealth in Heroes of Kalevala. Heroes of Kalevala is rated 4.2 out of 5 by 19. 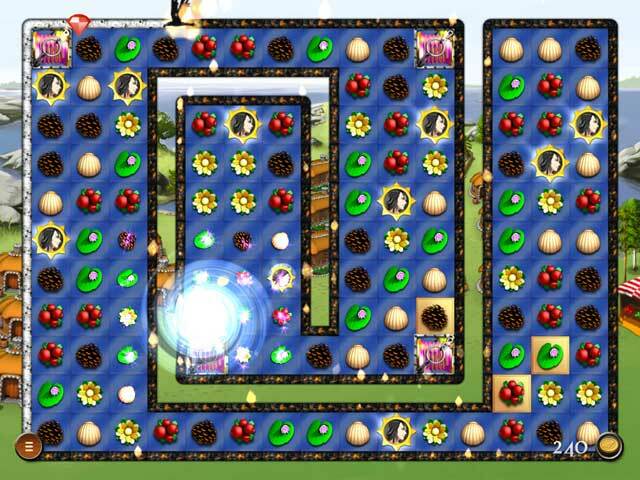 Rated 5 out of 5 by purpleporpoise from Totally Fun Mix of Match 3 and Build-It! I bought this game sight unseen as a Daily Deal and I'm so glad I did! I would gladly have paid full price. I don't usually care for Match 3 games, but this one is really fun. The ability to unlock mythical "heroes" to help you clear tiles and the adventure of building villages with the virtual money you earn from game points makes it interesting. If you love timed Match 3, build-it, money management and adventure games, you should like this one. You get to buy huts and foliage to build a town in the mythical land of Kalevala as you gain points and earn money from clearing tiles in the Match 3 portion, all the while avoiding the evil witch's crow. Oh, yes, and you have to keep your little villagers happy, so they'll love, love, love with lots of hearts! When you earn enough money, you can send explorers out to build other villages and then interact with those villages to buy-and-sell, but I haven't gotten that far in the game yet. There is also a scrolling interactive map that you can use to move from village to village. On the menu under other features, there is a guide that explains who the mythical heroes are and their powers. One issue I have: There are some funny captions and open hand symbols that occasionally appear above the heads of the villagers that I'm not sure how to respond to. It's not explained in the game, at least not that I've seen. So I'll have to go to the BFG forums to find out. The graphics are nice, the Match 3's colorful with a nice, light atmosphere overall, even with the evil witch. Level of challenge is good. Easy enough for me to win, but I still lose sometimes too. I have no technical problems at all running it with 64-bit Vista. I'm not sure how many levels there are in this game or how many game hours there are, but it looks like I'll be playing this game for awhile. Fun factor gets a HUGE 10 - a BIG THUMBS UP from me! Rated 5 out of 5 by TheMastercat from A Good Surprise This game was really fun for me in a very light hearted way. There is a story and a match 3 game combined with a build a colony - wasn't expecting that. I have not finished the whole game but it looks like there will be many places to go to. A good clean fun game for the whole family. A definite buy for me! Rated 5 out of 5 by Nijimasu from Very Addictive I have played this 4 times through. I love the clear, colorful graphics and have never gotten tired of the music. The cackling timer did get on my nerves sometimes, since some levels took me a few tries to complete. This game has actually encouraged me to learn about the folklore of Finland. Rated 4 out of 5 by BabyWombat from Nice Match Three Game Read the other reviews and agree with both of them. Story very interesting - Finnish mythology. Match three is challenging. Building the villages is a good mental challenge. Don't know whether to continue past the trial given the difficulty level may become impossible to complete (per first review). May be worth a shot with a free game bonus. Rated 2 out of 5 by Scarlitlake from This game is definitely not for me! Some aspects of the game were fun but I hated the crow when he gets around to almost completion time and the music gets really tense and hurry up, hurry up! I don't enjoy that kind of pressure at all. Rated 1 out of 5 by jersey714 from Boring I don't understand the 5 star ratings for this game. I bought it based on the initial trial but was disappointed to learn that you buy the exact same things for each village. Apparently the more money you make, the more villagers you have but to me it's ultimately a boring game. The Finnish history is interesting though. Sorry I wasted the money on this one! Rated 1 out of 5 by Sunspangle from Did the developers even give this game to a casual gamer to try out??? All I can say is.......this game is insanely difficult!!!! It lures you into a sense of fun in the demo, then once you buy it - within a very short time span, it gets EXTREMELY DIFFICULT. It is totally frustrating because it is impossible to get through the higher levels!!!! It could have been a very good game, but the unnecessary difficulty level has taken all hope of that away. If you're into Match 3's at all, please don't waste your money on this game. 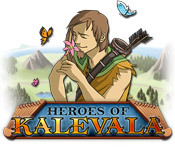 Choose your hero and match your tribe to glory in the lands of Kalevala. Build your own villages and unlock beautiful worlds!